British cuisine may not be highly celebrated around the world, however any foreign visitor to our city can not fail to be impressed by the food on offer at some of the Manchester's finest restaurants. In fact, for a region that produced the Bury Black Pudding, Lancashire Hotpot, corned beef hash, Eccles Cake, Manchester Tart and Vimto, it's no surprise to learn that some of Britian's top chefs have come from Manchester. 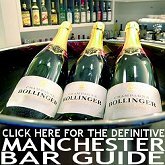 There's lots of restaurants in Manchester to choose from, each serving their own unique modern interpretations of the region's classic dishes. 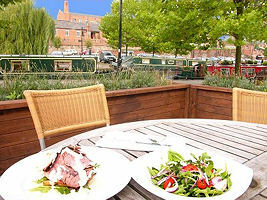 There's also plenty of fine dining restaurants in Manchester offering superb English cuisine in plush environments. From exclusive hotel restaurants to award-winning bistro's, celebrity chef's and pub grub, there's something for everyone in Manchester. 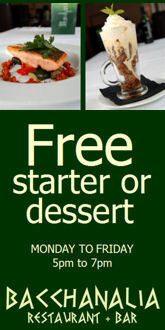 excellent fine dining restaurant situated in the circus casino on corner of portland street & oxford street. membership to the casino is required - available free with credit/debit card/i.d. Choice Restaurant . . .
wonderful intimate brasserie that wouldn't be out of place in paris. part of the funky malmaison hotel opposite piccadilly station and near the manchester apollo. stylish cafe bar and restaurant on the ground floor of urbis, next to the men arena. 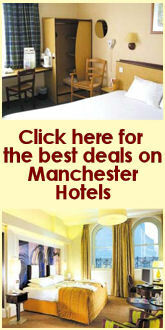 specialities include many local mancunian and lancastrian dishes. paul heathcotes new £1 million fine dining restaurant just around the corner from the opera house. previously simply heatchotes, a manchester institution for over 12 years!